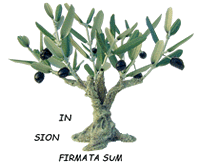 Beth Miryam is an initative of “True Life in God” established by Mrs. Vassula Ryden. In 2000 after several visits to Egypt and seeing the many people in great need. 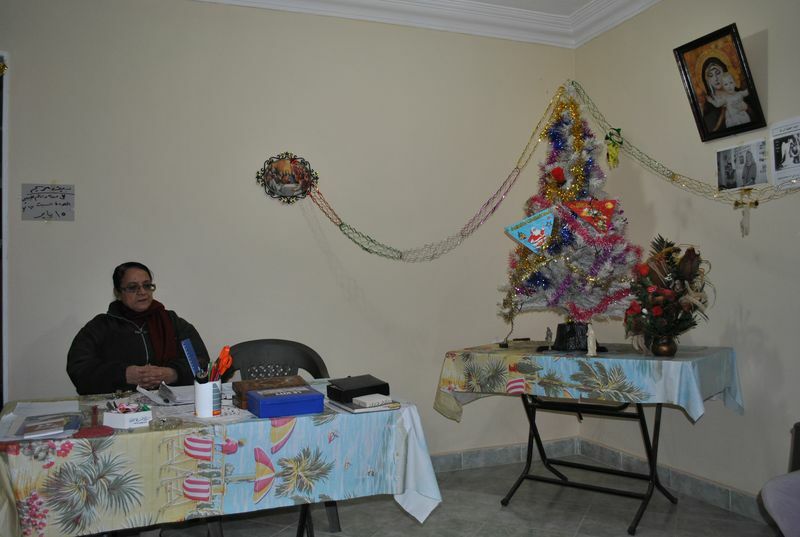 Sr. Carina Maria nds (Notre Dame de Sion) volunteered to take on the challenge, of Beit Miryam in Cairo, beside many of her other responsibilities. An apartment was rented for cooking and distributing meals feeding about 20 of the poorest families (about 107 persons) in her area twice a week. 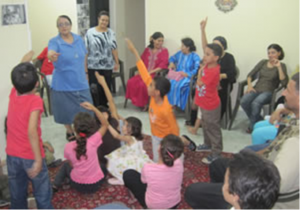 When Vassula visited Cairo in 2009 and saw the poor condition of Beit Miryam, she urged Sr. Carina to rent a flat that would house the Beit Miryam in a dignified fashion where people would be uplifted by a friendly environment. In April of 2010, Sr. Carina found and rented the current apartment. It has 3 rooms with a small kitchenette and bathroom. Beside cooking and distributing meals twice a week, the facility is used for prayer, social gatherings on special feasts and for teaching and encouraging a community atmosphere. Beit Miryam Cairo serves 33 families / about 165 persons twice a week. These families have been recognized as social welfare cases and are registered as such (although without receiving any aid from governmental sources). Each Wednesday and Saturday they receive cooked food that is prepared in the Beit Miryam headquarters. For lack of space and to better serve the family unity, the meals are collected by one member of the family and eaten at home adjusting to the schedule of each family. Initially, enough food was provided, securing food for about four days. This has become difficult now with the constant increasing food prices and limited funds. Most of the families that are given food by Beit Miryam live in appalling conditions. Many of them “live” in very small spaces unimaginable by European standards. They live under stair cases of apartment buildings, in small rooms with low ceilings lacking basic needs and space. Other families live in squad rooms, where a code of paint and sanitary facilities could improve their lives. Beit Miryam Cairo could provide a home renovation project plan, if funding would be made available, where unemployed could be employed for a period of time and providing for their families. In order to encourage the disadvantaged in their daily struggles, Sister Carina Maria nds, organizes from time to time special social events in the Beit Miryam home, i.e. teaching, prayer and social activities where special treats are being distributed. These gifts are collected over the year. Occasionally a special treat: ice cream – which is extremely rare and only when extra funds are available. Since 25 years, Sister Carina organizes a summer camp for socially disadvantaged pupils from thearea where she lives. Ever since Beit Miryam is active, she invites the children of the Beit Miryam families along to the camp. The purpose is to provide a different environment apart from the very hot and over populated city of Cairo by bringing them to a vacation camp on the sea side of Egypt. According to the funds available it covers one week of accommodation, bus fare, entrance fees to the beach, cinema, other recreational activities and all pre-cooked meals. 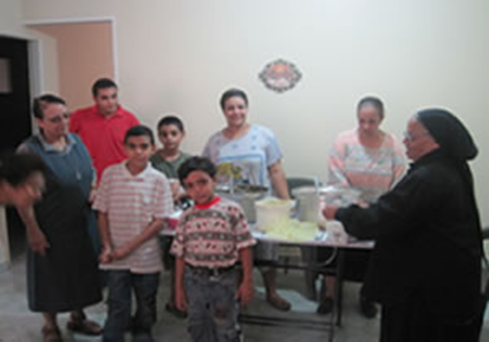 15 youth volunteers help Sister Carina supervising the children. Up to 130 Children from the age of 5 to 17 years old join this camp every year enjoying a refreshing holiday with swimming and play. It also provides a platform to educational activities in bible study, prayer and improving lacking social skills so as to learn respectful and cordial interaction between the children giving them an opportunity to bond in the Spirit of Love, encouraging them for the rest of the year.